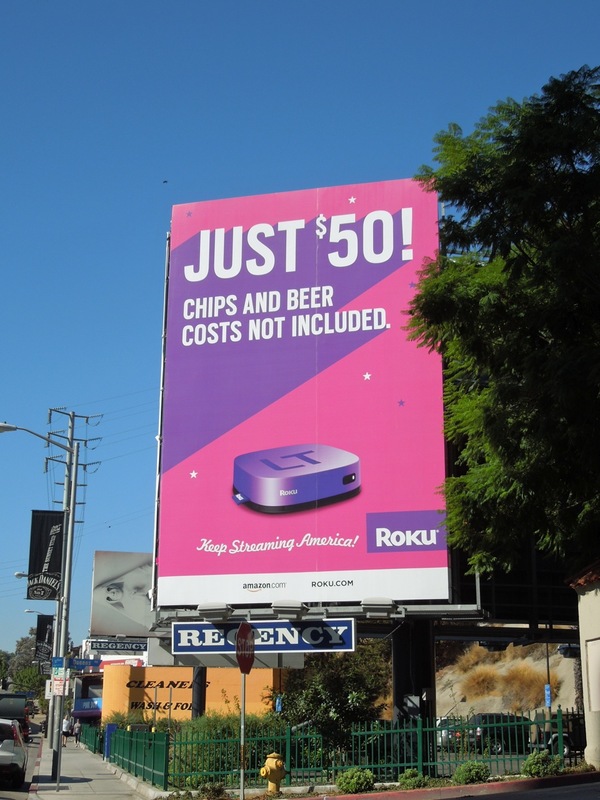 On some occasions a nice typeface and using clever copy can do the same job as a interesting visual, like in this instance for the Roku streaming player. Designed to deliver movies from Netflix instantly on TV, the streaming players now offer subscription-based services like HBO GO, Hulu Plus, Amazon Instant video, Pandora and even more besides. 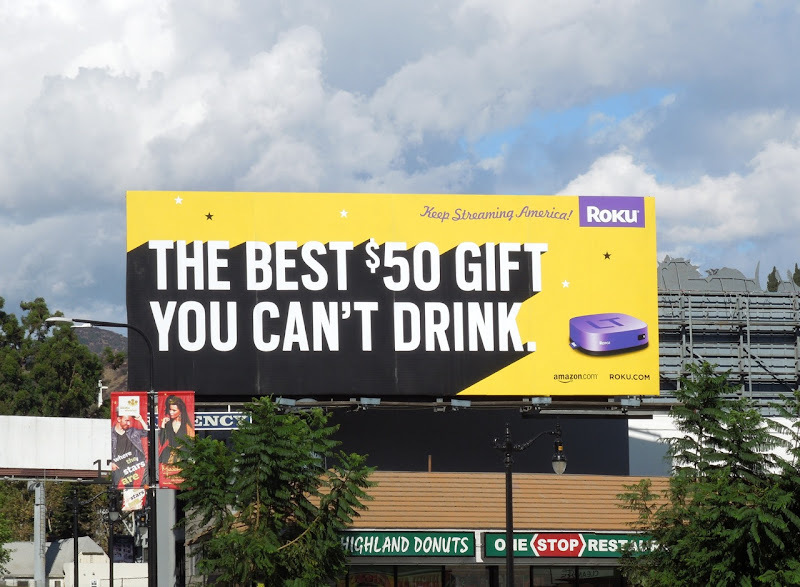 And at just $50 it sounds like the perfect gift idea for Christmas, or so these colourful billboards would have you believe. 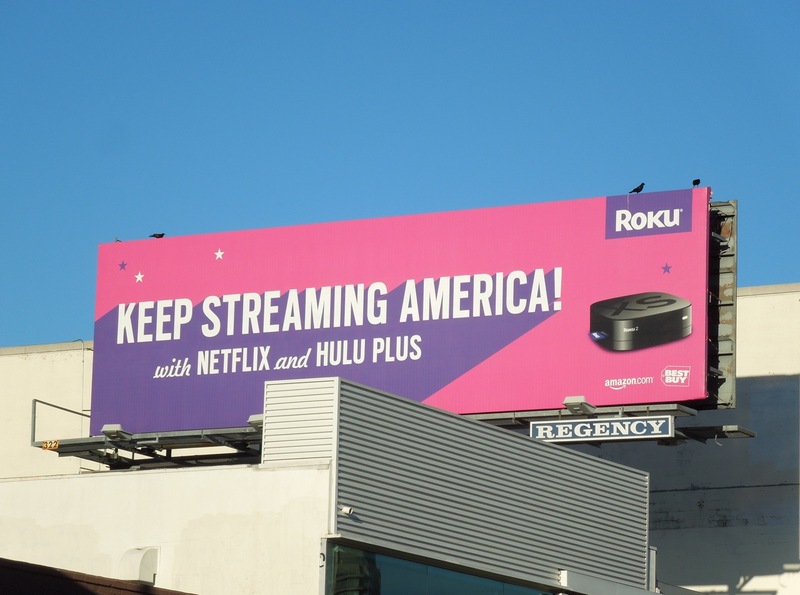 This witty 'Keep streaming America!' 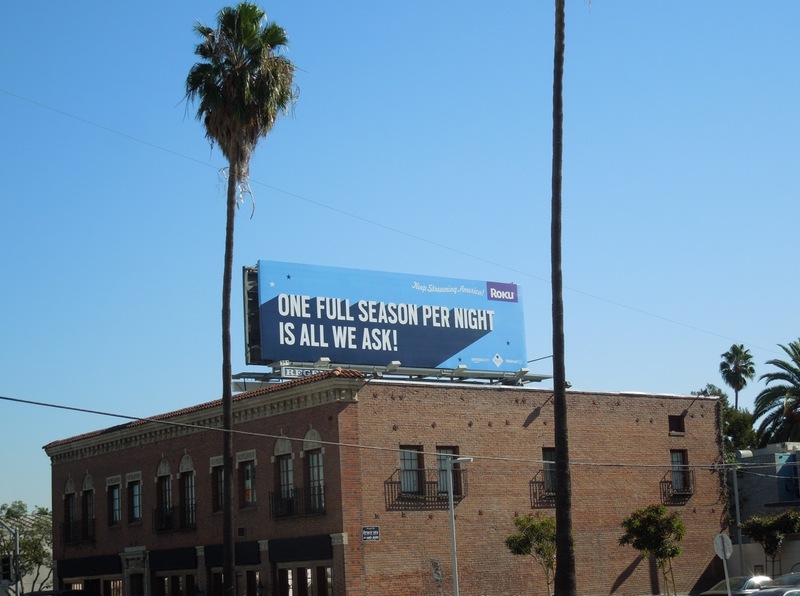 ad campaign was snapped around the streets of L.A., including Sunset Boulevard, Highland Avenue and Beverly Boulevard from November 5 - 9, 2012. 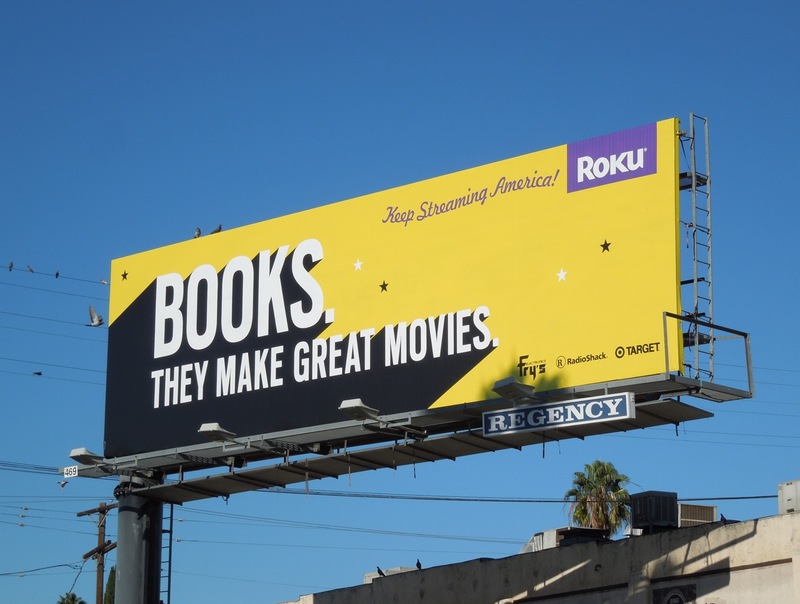 In the past The Holidays used to be much more concerned with what you were going to watch, rather than how you would watch your favourite films and shows. 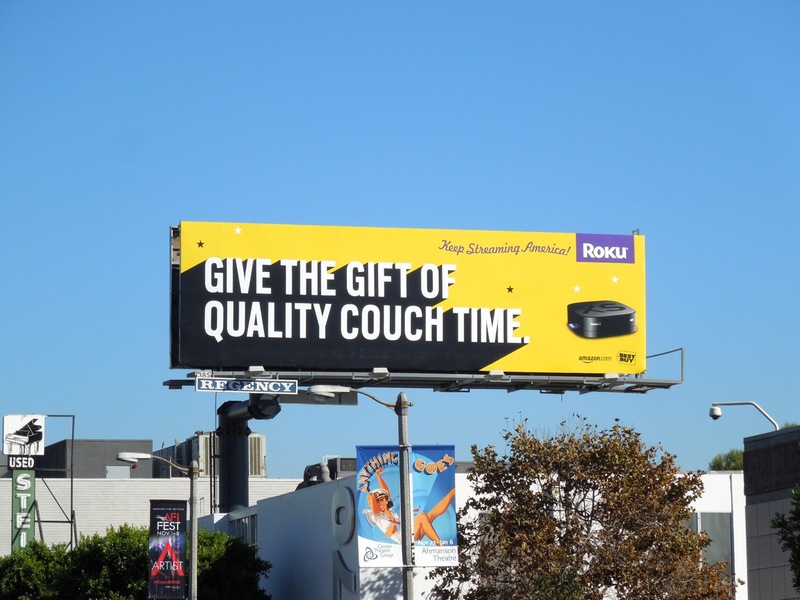 Oh, how times they are a-changin'. 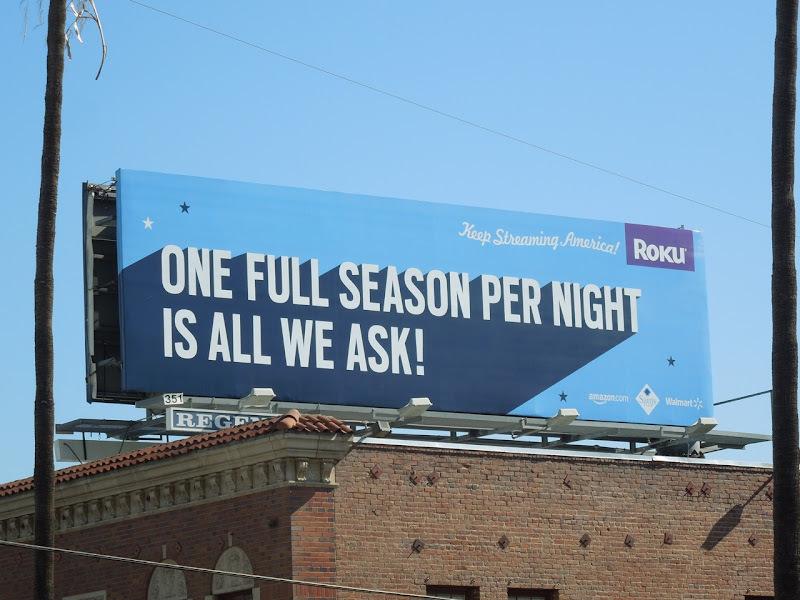 UPDATED: Here's another irreverent billboard from Roku with copy that makes you smile. 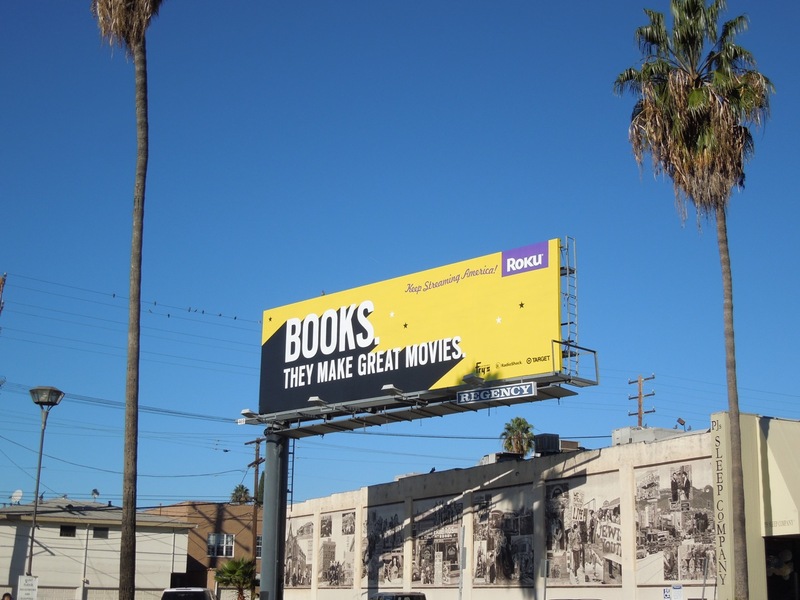 This fun creative by Division of Labor agency and was snapped along Fairfax Avenue on November 24, 2012. 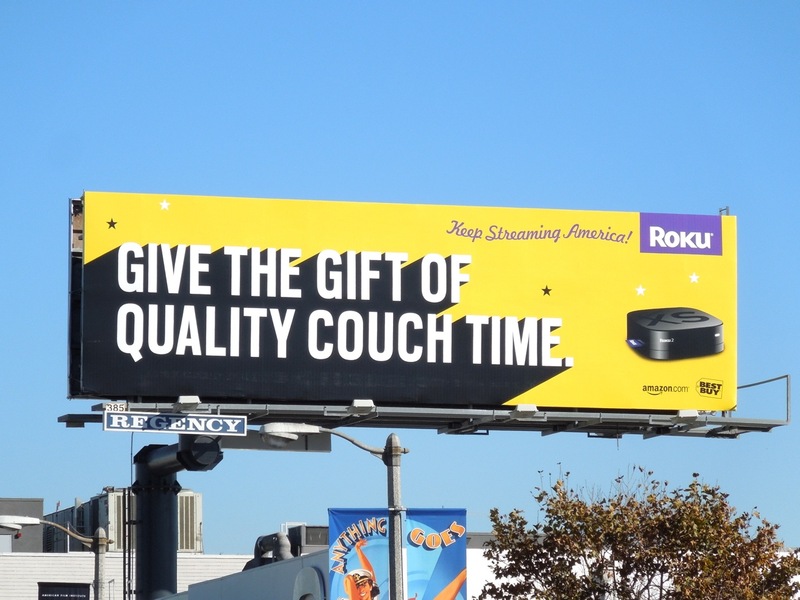 Plus here's another creative highlighting Netflix and Hulu Plus streaming services snapped along Westwood Boulevard on December 20, 2012.